The grant brings total capital funding to nearly $300,000 toward a $1 million goal, in just 12 months, according to John Schratwieser, Director of the KCAC. “Thanks to the generosity of so many, we have purchased this historic building, fully replaced the roof, and now, thanks to Stories of the Chesapeake, we can stabilize the structure and begin the process of renovating the inside to create a real ‘home’ for the arts in Kent County,” he added. Already, the Raimond Arts Building has hosted two major KCAC exhibitions, and has been used free of charge by Chestertown RiverArts, National Music Festival, Poetry Out Loud, Kent County Public Schools, Maryland State Arts Council, the County Arts Agencies of Maryland, Arts Education in Maryland Schools Alliance, Music in the Park, and more. “We can’t wait for it to be renovated and to increase its use as a service to the residents of Kent County,” Schratwieser said. 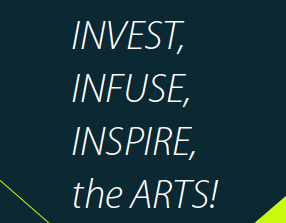 In keeping with its mission to invest, infuse, and inspire the arts for all in Kent County, the KCAC is also announcing the opening dates for its FY19 (July 1, 2018 – June 30, 2019) grant cycles. On Aug. 7, it will open its General Operating Support grant applications. These grants are specifically for the annual operations and programming of nonprofit arts organizations, whose primary mission is to deliver arts services and programs to the community. In fiscal year 2018, the KCAC awarded more than $30,000 in this category supporting Chestertown RiverArts, The Garfield Center for the Arts, The Mainstay, National Music Festival, Chester River Chorale, Eastern Shore Wind Ensemble, Kent County Community Marching Band, The Chestertown Spy and the Chester River Youth Chorale. For FY19 nearly $40,000, an increase of over 30%, will be available. The Board of the Arts Council is finalizing new guidelines and a new process for FY19. In FY18, Project Grants were awarded to nearly 20 community organizations including: Legacy Day, Chestertown Tea Party, Rock Hall Fall Fest, Sultana Downrigging, Dickens of a Christmas, Chester Valley Ministers Association, Martin Luther King Day Breakfast, Vincent Hynson Scholarships, ChesterGras, Kent County High School Mural, Whitsitt Center Mural, and Janes United Methodist Church’s Gospel Celebration, among others. For FY19, $20,000 has been committed to this category — a 25% increase over last year. Project Grants are available on a rolling bases throughout the year and are typically between $500 and $1,000. The KCAC, working with local nonprofit consultant Darran Tilghman, hosts “Infusion Sessions” for arts administrators in the County. This year, KCAC is coordinating opportunities for directors of the general operating grant recipients to meet with and learn from veteran administrators in their field, working in organizations throughout Maryland. The KCAC will provide a stipend to cover travel and food for a one-day visit as follows: Chestertown River Arts with The Delaplaine Arts Center in Frederick, MD; The Garfield Center for the Arts with Creative Alliance in Baltimore, MD; The Mainstay with Strathmore Hall and its related AMP venue in Bethesda, MD; National Music Festival with the University of Maryland College Park’s National Orchestra Institute, College Park, MD; Sumner Hall with the Prince George’s African American Museum in Hyattsville, MD and KCAC has even reached across the Chester to connect Church Hill Theatre with Everyman Theater in Baltimore, MD. “These professional development meetings are fantastic opportunities to enhance and expand upon the great work our local arts and culture administrators are already doing,” Schratwieser said. The Kent County Arts Council will also continue to grow the popular ARTS IN MOTION Program created by Tom McHugh in collaboration with the Kent County Public Schools. As such, we will host a second annual Professional Development Day for Kent County Public School teachers, working in tandem with KCPS’s Gina Jachimowicz and Superintendent Dr. Karen Couch to support Kent County fine arts teachers, and to share examples of arts integration with faculty from all subjects. The First “PD” day, held in January 2018, focused on introducing our 11 fine arts teachers to artists and arts organizations in the County who stand ready, willing, and able to support our teachers and their students through the arts. This program is funded in part by the John Ben Snow Memorial Trust. The Kent County Arts Council has a role to play in providing inspiring opportunities for artists and residents alike. The Arts Council continues to celebrate the success of last year’s “WarFront/HomeFront” and “Heroin & Healing” exhibitions, both of which reached deep in to the community to raise the level of understanding of the use of the arts to transform lives and communities, and to provide a vehicle for empathy and understanding. Our mission — to Inspire — continues this fall with two major works. First, in partnership with Sultana Education Foundation’s Downrigging Weekend Festival, Oct. 26–28, the KCAC will produce a new short play written by Kent County playwright and poet, Robert Earl Price, called “UNLADING”. This poem-turned-dramatic work will feature six to eight actors embodying the voices of the first 23 enslaved Africans brought to Jamestown, VA almost 400 years ago, in August 1619. The production will be performed in the sanctuary of historic Janes United Methodist Church in Chestertown. Second, in collaboration with The Philips Collection in Washington, D.C., the KCAC will partner with Kent County High School, the Garfield Center for the Arts and Chestertown RiverArts on a multi-faceted program called “Migration: An Exploration in Art, Words and Music, Inspired by Jacob Lawrence” in September, October and November 2018 that will culminate with four evenings of theater, Nov. 1–4 at the Garfield and an exhibit of student “Migration” themed art work at RiverArts Nov. 1 – 11. KCAC has engaged playwright and producer Jacqueline Lawton, assistant professor of Theater at UNC Chapel Hill, to bring five new plays to Kent County. Commissioned by the Philips Collection in 2015, each is based on one of the 60 “Great Migration Series” panels painted by renowned African-American artist Jacob Lawrence. Michele Volansky, Washington College chair of Theater and Dance, will direct the plays, which will be presented as the first act of a two-act evening. The second act will be a revival of Kent County’s own “migration” story — “Red Devil Moon” by Pam Ortiz and Robert Earl Price. As part of the Arts Council’s work to increase access to the arts for KCPS students, 40 students from Kent County High School and four KCPS art teachers will have the opportunity to visit the Philips Collection in September. The students and teachers will see some of Lawrence’s Great Migration Series panels up close and get a full workshop on the panels and other great works at the art museum. Following this field trip, the high school students will work with their teachers to create their own works, interpreting the Migration Series panels, and elementary school art teachers will also work with their students to create work related to Lawrence. Finally, to further solidify the student’s connection to the Great Migration, the KCAC and The Garfield will partner to bus students from all over Kent County to a day-time performance of “Red Devil Moon” at The Garfield on Thursday, October 18, as part of this comprehensive program. KCAC is grateful to the Indian Point Foundation, The Philanthropic Network, and the Hedgelawn Foundation for their generous support of our programming. 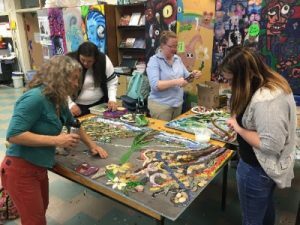 The Kent County Arts Council is funded in large part by a grant from the Maryland State Arts Council with investment from the National Endowment for the Arts. Additional support is provided by the Kent County Commissioners and the people of Kent County, Maryland.